Who doesn't like a good cabaret show and as far as Phuket Cabaret goes, you'd have a hard time finding better wholesome family entertainment such as that which you'll find in this holiday destination. You simply cannot go to Thailand without going to at least one cabaret show and what better way to relax than to enjoy an evening out witnessing some of the most spectacular cabaret Phuket has to offer. I have put together some of the best Phuket Cabaret Shows you wouldn't want to miss, many of which I have attended more than once. 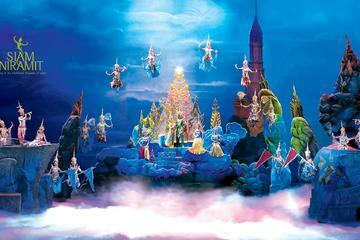 These are the Simon Cabaret Show, The Siam Niramit Cultural Show and the Phuket Fantasea Show. All three offer amazing entertainment. Though I went to most of these cabaret shows on my own steam, I have since joined a tour company who make it just that much easier to buy your tickets online and thus save all the hassles of going it alone. While I've seen several transgender cabaret shows in Thailand, the Simon Cabaret in Phuket is still one of my all-time favourites. The other is Tiffany's in Pattaya. Simon Cabaret is a three and a half hour show that never fails in delivering a top-class act, even when you go over and over again. On stage, they have a bevvy of professional entertainers presenting artistic impersonations through songs and tales of love and adventure that will surely captivate you. A pickup and drop-off from your hotel in Phuket are included. See details above. 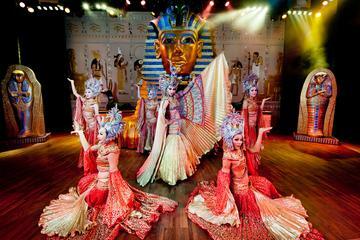 This spectacular Phuket Cabaret Show will introduce you to the rich and ancient culture of Thailand. Not only will you witness a mood of absolute suspense, the sound of drums combined with the sudden dimming of lights will create the scene for what's about to unfold. The show will take you on a tour to every corner of Thailand through its many customs, festivals, rituals, folk songs, historical events and so much more. It's going to be a mesmerising experience as you watch the artists perform with about five hundred elaborate and glamorous costumes. They demonstrate pivotal moments in Thailand's history as well as re-enacting cultural festivals and revealing ancient customs. Buffet dinner with local and international cuisines is also served. This Siam Niramit Phuket Cabaret Show is another alternative to the one above but it also includes the same spectacular show of over one hundred Thai dancers performing on one of the world's largest theatre stages. You'll also get to feast on a Thai buffet and western cuisine during this evening out. Have a fun night with your family in Phuket. 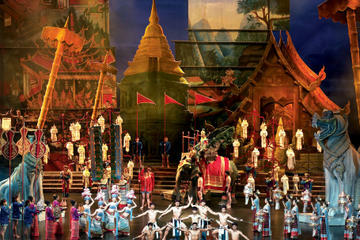 Come and spend an evening at one of the best shows in Thailand – Siam Niramit! 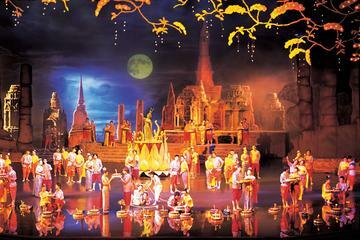 This magnificent stage production features incredible stage sets, state-of-the-art special effects and a huge cast of performers who will awe you with their colourful depictions of Thailand’s arts and cultural heritage. The eighty-minute show is preceded by an optional buffet dinner of Thai and international cuisine. You'll also get to wander Siam Niramit’s grounds which include a replica of a traditional Thai village and a floating market. 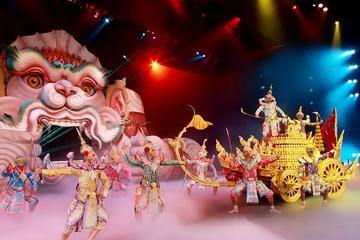 Come and explore the myths, mysteries and magic with the amazing Phuket FantaSea Show. 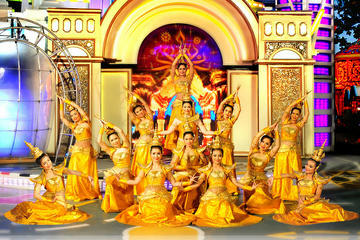 This Las Vegas-style Thai cultural event is infused with cutting-edge technology and state-of-the-art show elements. You're going to absolutely love this one. 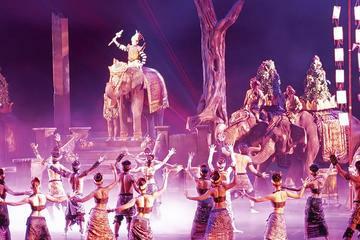 It's also an award-winning spectacle colourfully blending the beauty of Thai culture with magical illusions, 4-D effects, aerial ballet, acrobatics, pyrotechnics, special effects, exciting stunts and an elephant circus featuring thirty of these gentle giants. Not only is it an extravaganza on a huge scale, it's a unique theatrical experience guaranteed to delight the whole family. It's the essence of being Thai, everything from the love for freedom and fun, courage and compassion is being represented in each scene. An international buffet dinner is also provided at the Golden Kinnaree Restaurant, Asia's largest restaurant. 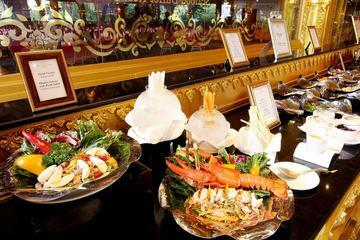 This 4,000-seat theme restaurant offers a grand buffet of Thai and international cuisine. Phuket Fantasea is the result is a stunning 140-acre theme complex packed with a multitude of activities and entertainment. There's a carnival village with games, handicrafts and shopping. It's also a one-of-a-kind experience you simply wouldn't want to miss. Phuket Fantasea is located on Kamala Beach nine kilometres from Patong. Begin your Phuket Cabaret journey of enchantment with the world's grandest buffet amidst the mystical Himmaphan forest setting. You can easily indulge yourself in a sumptuous feast of Royal Thai dishes including a seafood and vegetarian dinner as well as many international delicacies prepared by some of Thailand's finest chefs. Phuket Cabaret and FantaSea was designed to present you with the most original and sophisticated family entertainment with a distinctly original Thai flair. Come and spend your time at the amazing "Festival Village" for a truly unique shopping experience because it's here where you can purchase a wide range of quality souvenirs while enjoying an all night long festivities that include parades, street shows, live bands, craft demonstrations, elephant rides and so much more. The Phuket Fantasea Show is inspired by Thailand's rich and exotic heritage and showcases the charm and beauty of Thailand. A buffet dinner is included on this tour, so sit back and enjoy the meal and appreciate a charming traditional show depicting Thailand's rich and exotic heritage. It's also a special place where you and the whole family can spend time in the theme park and entertainment complex.